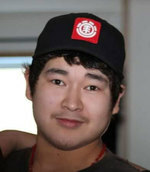 Travis James MacDonald, late of Stony Rapids. SK, passed away October 8, 2018, in Prince Albert, SK, at the age of 24 years. Travis will be lovingly remembered by: his parents: Angie and Howard Macdonald; his brothers: Dean (Vickie) Nilghe and Harley (Joshlynn Kasagan) MacDonald; his sister: Jessica (Jessie) MacDonald; his adopted sisters: Alexis and Aalaiar; his nephews: Harlen, Jessiah, James, Sebastian and Damon; His niece: Adele; His aunts: Janice MacDonald, Linda (Grant) Kolbeck, Brenda Toutsaint, Norine Tssessazie, Dora (Ambrose) Sandypoint, Barb Nilghe, Linda Nilghe and Lena Nilghe; his uncles: Fred (Maryann) Nilghe, August Nilghe and Clarence Umperville; His cousins: Jasmine (Jessica), Terry, Jayda, Andrew (Tammy), Kelvin (Victoria), Earl, Diane (Jone), Kevin, Geraldine, Sabrina, Adrien, Fabian, Davin, Grant, Ashley, Anthony, Chris, Blair, Shawn, Doreen, Brenda (Vince), Lorna, Judy, Ivan, Dean, James, Chris, Timothy, Albert, Colin, Lindsey, Michael (Heather) Kolbeck, Sara and Anna Kolbeck, Kari (Mark) Kolbeck; And Remembered by his friends and family, cousins, and the communities of Black Lake, Fond Du Lac and Stony Rapids. Travis was predeceased by: his brother: Clyde Vern MacDonald; his grandparents: Pierre and Madeline Nilghe, Angeline Litwin, Jimmy and Annie MacDonald and Agatha Mackford; his great grandparents: Camoron and Melenie Nilghe; his aunties: Judy Umperville, Lorraine Nilghe, Ernestine Kearney, Angatha, Jean (August) Toutsaint, Betty (Fred) Toutsaint, and Marie (Jonas) Kasyon; his uncles: Jimmy, Alphonse, Billy, Victor and Napoleon Nilghe; his cousins: Priscilla, Julie and Daylen, Dave, Darren, Andy and Jamie Lee MacDonald. A Visitation will be held October 19, 2018 – 1:30PM, at MacKenzie Chapel, Prince Albert, SK. A Wake will commence October 19, 2018, at the Residence of Howard and Angie MacDonald, Stony Rapids, SK. A Funeral Service will take place October 23, 2018 – 2:00PM, at Stony Rapids Community School, Stony Rapids, SK. Arrangements in care of MacKenzie Chapel & Crematorium, Prince Albert, SK – Shellbrook Funeral Home. Brian and Bev Stobbs, Renee Phaneuf - Funeral Directors. www.MacKenzieChapel.ca 306.763.8488. To send flowers to the family of Travis James MacDonald, please visit our Heartfelt Sympathies Store.